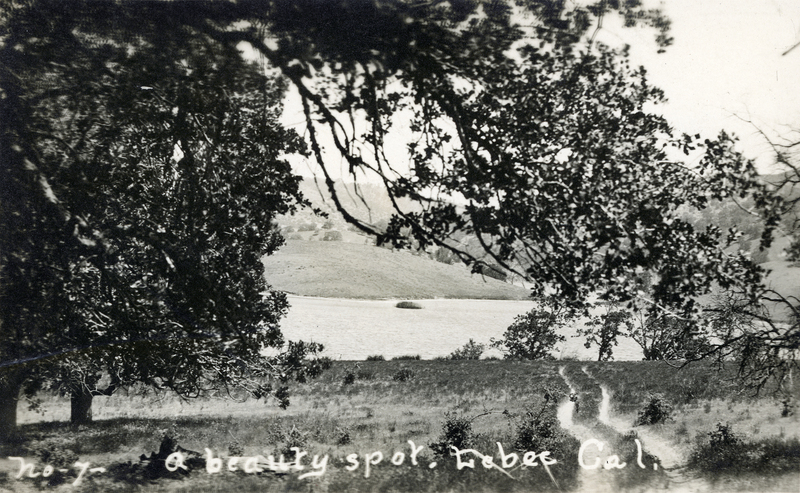 SCVHistory.com LW2830 | Lebec | Castac Lake, ~1930s. Undated real photo postcard, circa 1930s. Printed description: "No. 7 — a beauty spot, Lebec Cal." We don't know about other "numbers" in what is apparently a series. Castac Lake was indeed a beauty spot, and one day soon, a lot more people might be able to enjoy it up-close and personal. The Tejon Ranch Co. plans to surround it with 3,450 homes as seen here. LW2830: 9600 dpi jpeg from original RPPC purchased 2015 by Leon Worden.